The 6th Annual Harlem Derby Gala: Harlems Run for the Roses Gala. 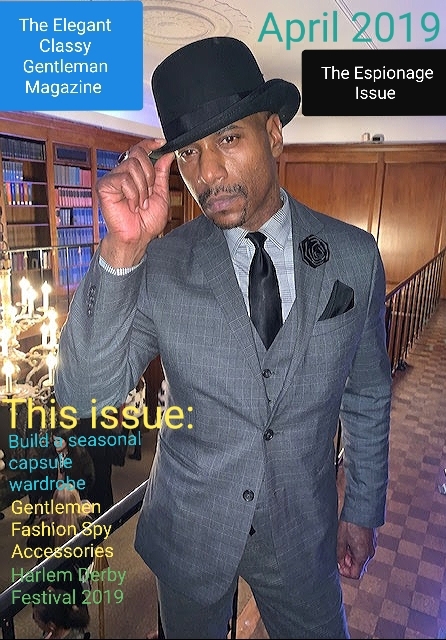 Early last week as I was going about my day, I received a call from the distinguished gentleman and fashion designer Rob Owens, who first thanked me for the “beautiful article” that I wrote last fall covering Harlem Fashion week for the Elegant Classy Gentleman, in which his “Jazz Cats in Hats” fashion segment was an integral part of the very successful Harlem fashion week show. Mr. Owen’s, who went on to explain “I just saw the article the other day, as someone brought it to my attention.” As Mr. Owen’s continued, he relayed to me that he had spent some time, after reading the article that I wrote, tracking me down on Facebook to “Match the name with the face”, as we knew each other but never have been formally introduced to one another. Rob then explained to me the reason for his call, “Mike, I would like for you to be one of three judges for my 6th Annual Harlem Derby Gala, being held at the famous Red Rooster in Harlem“. I being thrilled at the invitation graciously accepted and added. “While I’m there, would you mind if I take some photos and some video footage for a feature article covering the gala?” Mr. Owen’s response: “I wanted to ask if you were willing to do that, but I didn’t want to impose”. I told Rob that I was more than willing to cover the event, in addition to being one of his “Fashion Judges” for the four categories of best dressed male, and female, as well as best hat for both male and female, along with the other two female judges. The Harlem Derby was inspired by the Kentucky Derby. and the black jockeys were the majority of the horse riders (13 of 15 jockeys). Co-founder Rob Owens created Harlem Derby Style to pay tribute to the major contributions of African Americans who helped make the Kentucky Derby was it is today since 1875 when the first Kentucky Derby race took place on May 17th in front of a crowd of 10,000 spectators. Rob Owens also sells fashionable derby hats named after famed black jockeys from the rich history of the Kentucky Derby on his website Harlem Derby Style.com, which are quite dapper indeed! At the 6th annual Harlem Derby Gala patrons of all races come together in their finest attire (and hats, of course) to celebrate this amazing event for the last six years. Rob Owens who is a Kentucky native, now Harlemite (He’s lived in Harlem now for the last 30 years) has created something quite special in Harlem with this yearly event. Part fashion show, part sporting event, part social mixer and a whole lot of fun sets this gala apart from all the others in Harlem due to its seer uniqueness and community camaraderie. As part of my duties as a fashion judge, I was obligated to mix and mingle with the crowd to ascertain who sported the best attire (and hat). Mingling with the crowd downstairs at Ginny’s Supper Club, and upstairs out on the patio of The Red Rooster, I spoke with men and women about their style and choice of hat for the event, and took photos of them to sift through who we would select for the best dressed (and hat) with the other two judges. An incredible experience it was indeed. The Elegant Classy Gentleman team also was floating through the crowd to capture photos and video moments of the stylish Harlem crowd, and as I watched them from across the room, I could see the look on their faces as they enjoyed themselves vibing with the excitement and fashion of this wonderful gala. Will we return next year for the 7th Annual Harlem Derby Gala? You Can Bet On It! Need me to host or manage your next event? Send your inquiries to: micnorman007@yahoo.com. Previous Previous post: The Dynamics of Time Management: Using different techniques of time management for success in your daily endeavors. 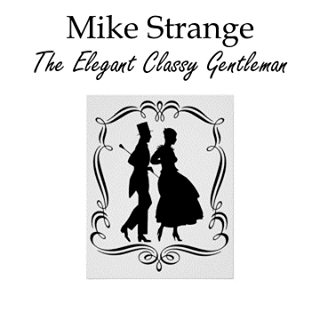 Next Next post: The Single Gentleman and the Dangers of Online Dating: My Experiments in Cyber Dating.